A former half of Aeroplane (along with remaining member Vito DeLuca), The Magician — aka Stephen Fasano — has taken the sounds of the 80s and teleported them to the future. But not the 80s of robotic rhythms and beats, more so the 80s of Talk Talk, Culture Club and Human League — a timeframe awash in dancing synths and pop melodies. 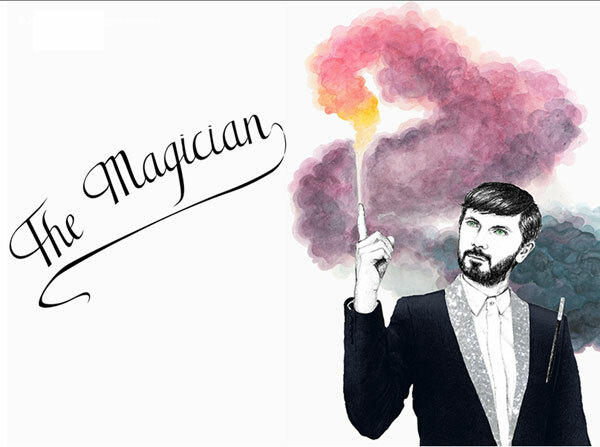 The Belgian artist has just released the fifth installment of his Magic Tape sessions, and you can peep it below — a sound which Fasano describes as “Retro-Futuriste with a bit of melancholy and a touch of the Belgian humor.” Stream The Magician’s Magic Tape Five Mixtape below and if you like what you hear give it a download.